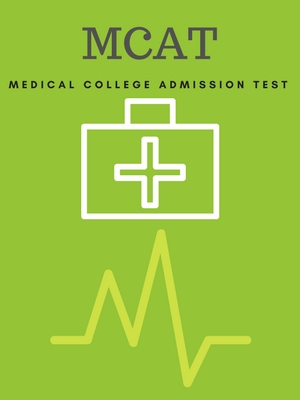 The MCAT or the Medical College Admission Test is a multiple-choice, standardized examination, which has been designed for assessing the examinee's critical thinking, problem-solving, and knowledge about concepts of science and related principles and writing skills, which are all a prerequisite for medicine study. Scores in this test are reported in Verbal Reasoning, Physical Science, Biological Sciences and the Writing Sample section. Almost all the medical schools in the U.S. need the applicants to submit their scores on the MCAT exam. A lot of schools don't accept the MCAT scores, which are 3 years old or more. When registering, one would be needed to admit a statement, which would verify their intention of applying to this health professions University/school. However, if you're not really applying to any health professions institution/school, or in case currently you're a recruited medical student, then you might get a 'special permission' for registering for this exam. One might take up this MCAT examination up to 3 times in 1 calendar year; however, you can register for just 1 test at any given point of time. For an international student, he/she can take the exam provided they meet the requirements eligibility mentioned above. If you have a degree in MBBS or are in the program, then you could register for the exam without taking any special permission. For multiple choice questions there is no penalty if you answer them wrong. Each section is converted to a scaled score ranging from 118 to 132. It takes around a month to receive scores. MCAT is 7.5 hour exam. There are 230 multiple choice questions. The test centers for giving the MCAT exam are located almost across all the states as well as there are test centers in Canada. To know more about the test centers in your state or a particular state, check out the website mentioned above. The Regular Registration fee for the MCAT test is approximately $310. The fee above isn't refundable in case of registration cancellation and this fee is also added up to the so called 'Regular Registration' fee. International sites for MCAT include all the countries, territories or provinces except Guam, Canada, the U.S. Virgin Islands and Puerto Rico.